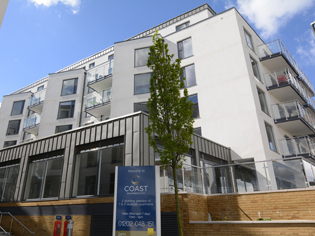 Built by Fairfield Homes, this stunning house in Blunham village features a precisely executed coloured elZinc Rainbow Red roof and cladding which takes your breath away..
A new development of luxury seafront apartments known as ‘Coast’ is the first in the UK to take advantage of elZinc Slate Advance. Specifically designed for use in marine environments, elZinc Slate Advance has a protective coating which provides a barrier to salt damage . 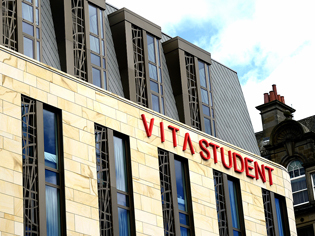 Vita Student Newcastle is a new development of 259 high quality student accommodation studios. 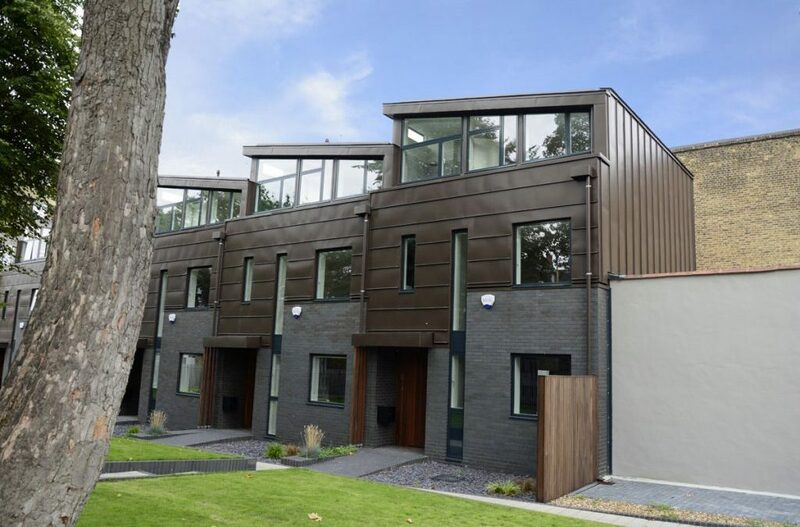 Surrounded by eight listed buildings the architect worked with Historic England and the city’s planning and design officers to develop a contemporary facade with a timeless quality. 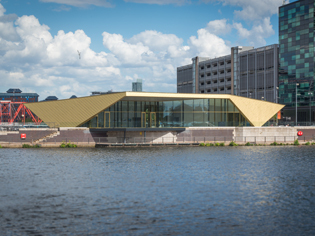 Between the towers of MediaCityUK and Michael Wilford’s The Lowry, sits a small but perfectly formed gold parcel – a new home for The Alchemist, an innovative cocktail bar and restaurant which will open at the end of August 2017. 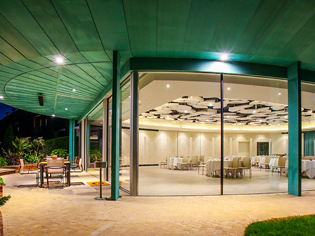 When the Grove Hotel, as part of an ongoing developement programme, created the Cedar Suite they wanted an oval copper-clad structure that will act as a stand-alone wedding and events space for the hotel with its own unique quality and relationship to the garden. 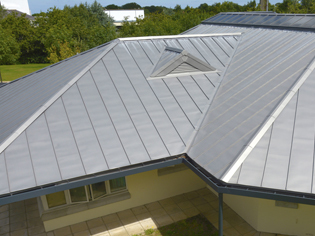 The Lighthouse Wards at Princess Elizabeth Hospital, Guernsey comprise three single storey wards containing 60 continuing care units for elderly patients. 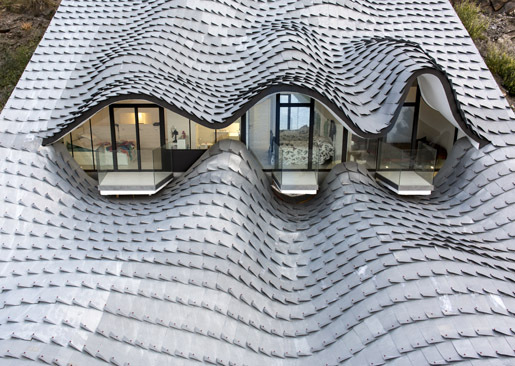 The tiled roofs on the the buildings had failed just five years after installation. 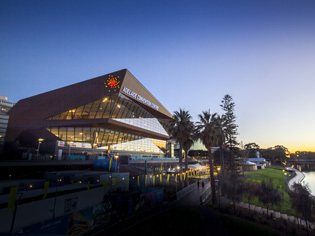 Architects Naftel Associates chose to replace the roof with zinc standing seam. 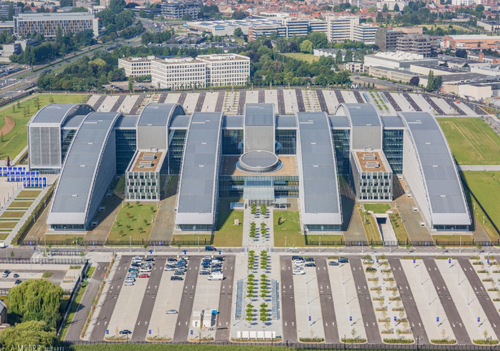 The new NATO headquarters in Brussels has the largest zinc roof in Europe. 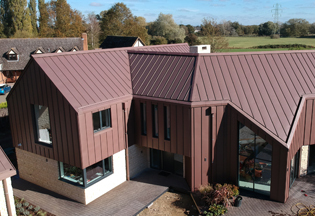 The roof spans a total surface of no less than 35,000m2 of NedZink NOVA Pro-Tec standing seam bays in seemingly unmanageable lengths of 26 metres. 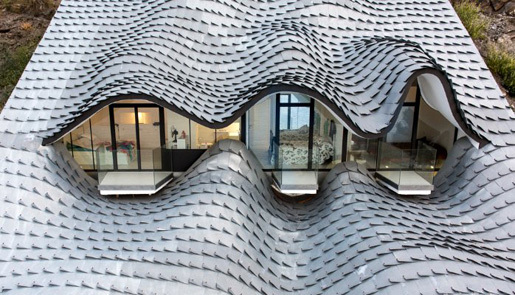 A challenging project in many respects.